The book is a very detailed work on the relationship between movements for autonomy by indigenous peoples (the so-called ‘tribes’) and violence in Assam, in northeast India. The book addresses some of the reasons for the failure of ethnic conflict management and for the frequent emergence of violence in the region. In particular, the historical description of movements by the Dimasas, Misings and Bodos is well compiled and provides a good summary for the readers. At the same time, the work offers a good understanding of ethnic violence in contemporary India. The volume offers some new research data based on comparative analysis of different trajectories followed by three important movements among Assam’s ethnic minorities. 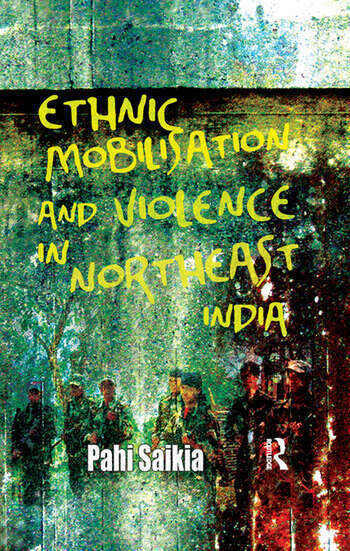 While the pieces of the argument are based on the existing literature on ethnic violence and contentious politics, they are effectively connected to materials drawn from northeast India. Furthermore, the book raises significant concerns on the debates on crafting of decentralised institutions and executive opportunities that may facilitate ethnic accommodation thereby reducing the likelihood of such groups to pursue their goals through channels that are radical or extreme. Pahi Saikia is Lecturer at Department of Political Science, University of Victoria, Canada.